Bookworks can supply your Menaul School student with reading selections for summer reading. The list is online at http://www.menaulschool.com/academics/summer_reading_program/ and listed below. Please choose at least one book to read over the summer and add it to your cart below. Mr. Sitler: The River Between by Ngugi wa Thiongo--Grades 11-12 This beautifully written novel tells the story of the peoples of two villages in colonial Kenya, separated but united by the river that flows between them, as they struggle with change, identity, religious conflict, leadership and love. Ms. Schlabach: The New Jim Crow by Michelle Alexander--Grades 10-12 Recent racially charged events like the killing of Trayvon Martin and Clippers owner Donald Sterling’s comments about the African American community, and the Supreme Court’s ruling on affirmative action in Michigan, serve to remind us that, rather than being a thing of the past, issues of race and racism continue to be at the center of debate in the United States. Michelle Alexander’s book The New Jim Crow: Mass Incarceration in the Age of Colorblindness will be an interesting read for any high school student interested in exploring the complex relationship between race and the American Justice System. Students will be challenged to think through their understanding of “racial progress” and many of the myths that shape our understanding of the American criminal justice system and its impact on racial minorities like African Americans, Hispanics, and undocumented immigrants. Mr. Baumgartel: Banner in the Sky by James Ramsey Ullman--Grades 8-11 Rudi is a Swiss 16-year-old whose father died climbing The Citadel. Climbing the mountain has become Rudi’s sole passion, and Ullman’s capturing of the adventure of the climb has kept readers of all ages turning the pages since the book was published seventy years ago. Ms. Shuler-Misra: Three squares: The Invention of the American Meal by Abigail Carroll--Grades 10-12 This book traces the evolution of Americans' eating habits, from colonial times (where people ate only one meal in the middle of the day) through the present (when snacks and processed foods are very common). The influences of other cultures' foods on American eating are explored, and in reading the book, students will be able to trace American history through what we eat! Mr. Gilbert: Travels With Max by Gregory Zeigler--Grades 8 & up Inspired by Travels with Charley, Gregory Zeigler celebrated the 50th anniversary of renowned Nobel Prize-winning author John Steinbeck's storied trip. In 2009, Zeigler and his dog Max drove and camped 15,000 miles over nine weeks, exploring the country and determining what Americans are like today. Travels With Max offers a retrospective on Steinbeck and his work, as well as an insightful, humorous and upbeat perspective on modern America. Greg is an old friend of Menaul School, has spoken at chapel, to classes, and includes his Menaul School visits as part of his travelogue. Ms. Hennigan: Spider Woman's Daughter by Anne Hillerman--Grades 10-12 This is an engaging mystery set in the Navajo Nation with likeable and memorable characters from the award-winning Tony Hillerman stories. The book is filled with Native American culture, an interesting plot, and great descriptions of Northwestern New Mexico landscapes. Mr. Lucero: The Invention of Wings by Sue Monk Kidd--Grades 9-12 This novel is a tale of Sarah Grimke and her sister living in Charleston, South Carolina, in the early nineteenth century and their pleas for civil rights--those rights inherently belonging to each human being no matter his or her race, religion, gender, or social position. Ultimately, the novel affirms that if one is afflicted with misfortune or physical and psychological impairment, one can "invent" one's wings and soar above weakness to reach a life of rich purpose and personal fulfillment. Mr. Moses: Fail Safe by Eugene Burdick--Grades 8-11This highly suspenseful novel narrates the story of a Cold War crisis between the Soviet Union and the United States that might trigger a nuclear war. It is probably the best written and most gripping of the Cold War novels, truly capturing the anxiety and stress of that era. Mr. Ortiz: The Giver By Lois Lowry--Grades 8-9 What could possibly be wrong with a world where there is no war, hunger or pain? A young boy begins to see the imperfections in this "perfect world." It might be fun to compare this book to the film being released this summer. Mr. Bryant: The Banjo of Destiny by Cary Fagan--Grade 6 Jeremiah wants to please his parents. But one day, by chance, he hears the captivating strains of a different kind of music — the strums, plucks and rhythms of a banjo. It's music that stirs something in Jeremiah's dutiful little soul, and he is suddenly obsessed. Accompanied by line drawings by Selçuk Demirel and supplemented by advice and resources on making a homemade banjo, this is a funny, inspiring and timeless story about finding something you love to do, and then setting out, despite all obstacles, to do it. Ms. Crockett: My Name Is Asher Lev by Chaim Potok--Grades 8-10 It's a story about a boy growing through adulthood confronting his orthodox religious culture and family; he finds his voice and maturity through art. Ms. Symonds: The bluest eye	by Toni Morrison--Grades 10-12 The main character, Pecola Breedlove, is constantly ridiculed for her black skin, curly hair, and brown eyes. Craving the approval of her peers, she wishes for blond hair and blue eyes. This book examines society's view of beauty while asking questions about race, class, and gender. Ms. Young: Red Sky at Morning by Richard Bradford--Grades 8-10 This is a sometimes zany, sometimes painful coming of age story, set in World War II Santa Fe. A young man explores his new home, new responsibilities, and new relationships in this beautiful book that the Washington Post Book World called "A sort of Catcher in the Rye out West". Ms. Young has 10 – 15 personal copies of the book that students may borrow. Rev. Buddy Monahan: Shoe Marks by Karen Vance Hammond A paranormal story based on true events of a family who buys a haunted house, and lives to regret it. A very easy read that grabs you from the beginning. Following the story of Maggie Horton’s ghost and the family who have moved into her house, Shoe Marks takes a unique look at both sides of the ghost story. As an author who has battled dyslexia her entire life, Karen has done an outstanding job on this book and the book has been nominated for many awards. Ms. Fritts: Merle's Door by Ted Karasote--Grades 6 & up This is a heart-warming true story about the life of a stray dog, who found his way into the author's life. Ms. Rogge: Feed by M.T. Anderson--Grades 7-8 Feed is a young adult science fiction novel that examines individual’s and society’s relationship with media and the internet and focuses on contemporary topics such as corporate political dominance, technology and information, consumerism, data gathering and the environment. In Feed, an American teenager loses his biological internet "Feed" and begins to recognize how society has deteriorated into a cultural wasteland that brainwashes the population with advertisements and blatant consumerism that only benefits huge companies. Mrs. Gilbert: I Am Malala by Malala Yousafzai--Grades 7-9 This book is a true story of a teenage girl and her tragic shooting and her fight for edcation for girls all over the world. It is very inspirational. Ms. Yoder: Jane Eyre by Charlotte Bronte--Grades 7-8 Jane Eyre is the story of a small, plain-faced, intelligent, and passionate English orphan. Jane is abused by her aunt and cousin and then attends a harsh charity school. Through it all she remains strong and determinedly refuses to allow a cruel world to crush her independence or her strength of will. A masterful story of a woman's quest for freedom and love. Jane Eyre is partly autobiographical, and Charlotte Brontë filled it with social criticism and sinister Gothic elements. Readers will relate to the book’s universal themes including: suffering through social class prejudice, exhibiting loyalty to those we love, longing for family, appreciating gender issues, and surviving a difficult childhood. Chaim Potok was born in the Bronx in 1929. He was ordained as a rabbi and earned his PhD in philosophy from the University of Pennsylvania. He served as editor of the Jewish Publication Society. Potok's first novel, The Chosen, published in 1967, received the Edward Lewis Wallant Memorial Book Award and was nominated for the National Book Award. He died in 2002. 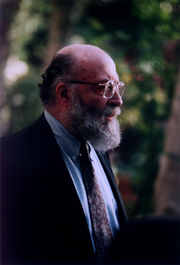 Chaim Potok is currently considered a "single author." If one or more works are by a distinct, homonymous authors, go ahead and split the author. Chaim Potok is composed of 16 names. You can examine and separate out names.